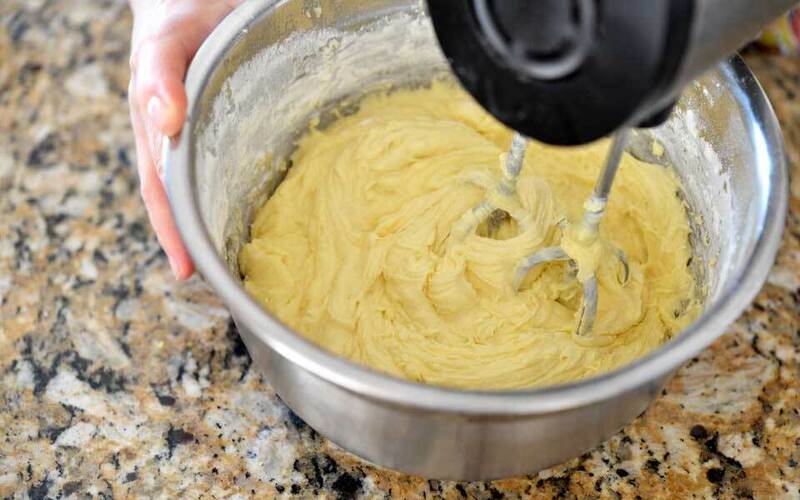 Place in a bowl 200 grams of soft butter and zest of one lemon. 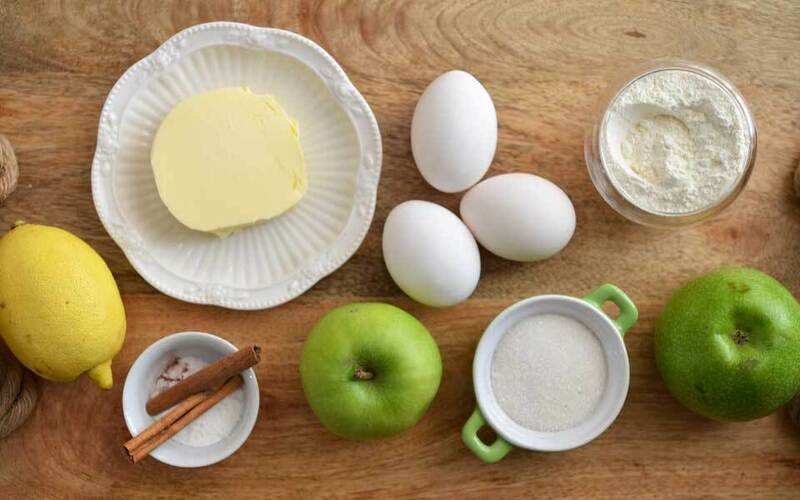 Beat until white, add 2 teaspoons of vanilla sugar and, without stopping whipping, add 200 grams of granulated sugar. Add one by 4 eggs and continue to beat until a homogeneous lush mass is obtained. Add 275 grams of sifted white flour, change the mixer nozzle and knead the dough. Put the dough in a baking dish diameter of 28 centimeters, slightly flatten and set aside. Cut each apple on 12 slices. 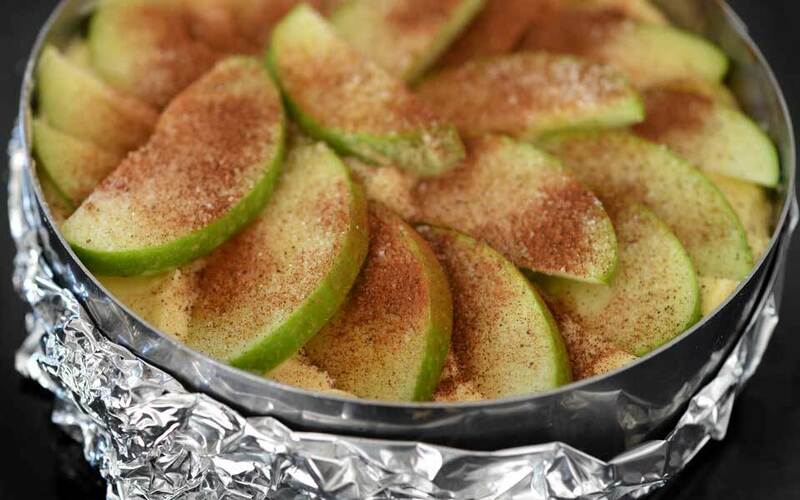 Spread the apples over the dough, sprinkle with 50 grams of sugar and half teaspoon of cinnamon. 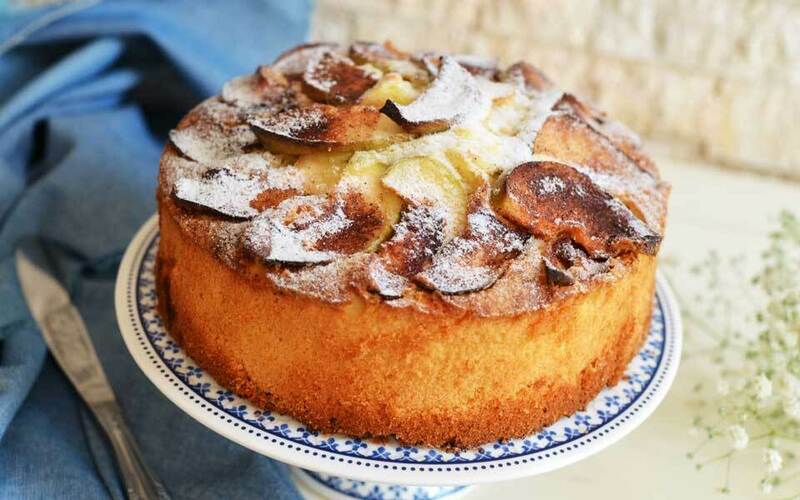 Bake the apple cake in a preheated oven at 200 degrees celsius for about 30 minutes.